Dimensions: 5-5/16 x 3-3/4 x 3-1/8 in. 30 cards and 30 sealed envelopes contained in a fancy box with hinged lid and ribbons. 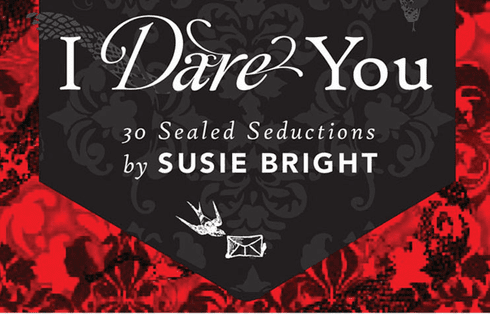 From sexpert Susie Bright, this luxe box contains 30 seductive prompts and dares each sealed in an envelope ready for the taking. Select an envelope, tear it open, and read the card aloud to discover what comes next. No two lovers will play the cards the same way twice!